Are you concerned that the large amounts of cash that your business is forced to handle could be vulnerable to theft or robbery? Are you concerned for your safety and that of your employees as a result? Are you searching for a safe and effective method for transporting your cash to your bank or secure facility? Allow Strongbox to handle your transportation needs. 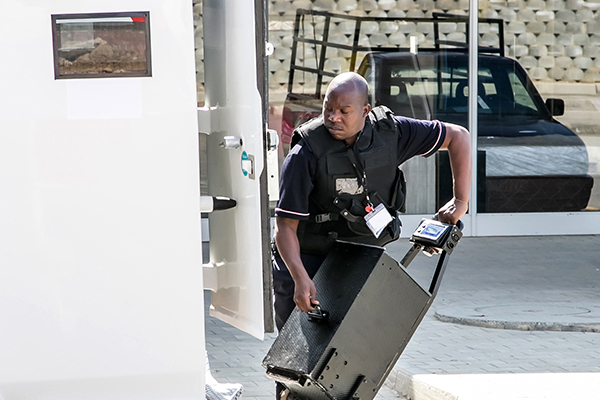 We use teams of highly trained security professionals with law enforcement and military backgrounds to transport your money in covert, unmarked vehicles, utilizing battle-tested, tried and true convoy tactics to ensure that your money arrives at its’ final destination intact and on time. Trust only the best to secure what you’ve worked so hard to earn. Trust Strongbox to your money transport service.